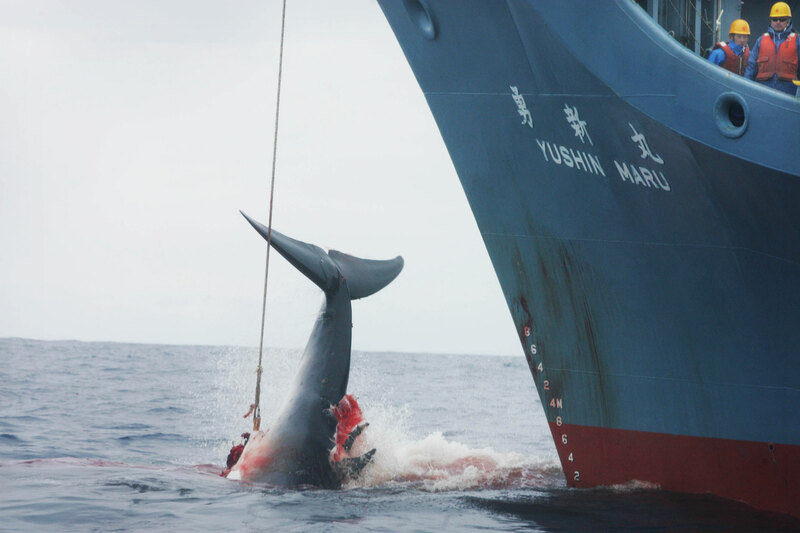 The Yushin Maru catcher ship of the Japanese whaling fleet injures a whale with its first harpoon attempt, and takes a further three harpoon shots before finally killing the badly injured fleeing whale. Finally they drowned the mammal beneath the harpooon deck of the ship to kill it. Southern Ocean.